Home > Child Support Defined > Distribution and Payment: What is Involved? The amount of child support a parent with care is likely to receive in periodic payments from a non resident parent is calculated according to the income and living circumstances of both parents. The Child Support Agency (CSA) is able to calculate the amount of payable maintenance and will also collect and distribute payment to the custodial parent. The amount of maintenance payable may differ from the original CSA calculations however, if the sum has been agreed in court as part of a consent order. Provided maintenance has been privately agreed, a non resident parent can choose to pay child support directly to the parent with care, in the form of a cheque or directly into a bank or building society account. This may be done through a private agreement between both parents, or with help of the Child Support Agency. Payment for educational expenses can be paid for directly, whilst other costs can be covered by payment made to the parent with care. In some instances maintenance payment may need to be taken directly from the non resident parent’s wages. In order to do this the CSA will contact the parent’s employer and request that maintenance payments are deducted directly. The employer is obligated by law to set up this method of paying child support to the parent with care. The Child Support Agency traces absent parents, calculates maintenance payable, collects monies and monitors the payments made to ensure regularity. The CSA also updates information on records when required, discusses late payments with both parents and re-establishes payment and recovery of maintenance arrears. The agency is also responsible for taking appropriate enforcement action if the non resident parent fails to comply with the maintenance request. It is the Child Maintenance and Enforcement Commission’s (CMEC) responsibility to demand child support payments on behalf of the parent with care. As part of CMEC the Child Support Agency gathers information that supports the parent with care’s maintenance claim. Once it has processed the information collection of the maintenance is arranged directly from the non resident parent. If a problem arises, and the non resident parent fails to comply with the maintenance request the Child Maintenance Enforcement Commission has the power to enforce payment by requesting direct action via the parent’s employer. Child support payments are mostly automatically deducted from the non resident parent’s wages. This form of income withholding is obligatory and any employer failing to implement this procedure can be taken to court. Taking payments in this method can also be applied to other forms of benefits that the parents may be receiving, including unemployment and disability allowance. However, a court order will decide the most applicable method of payment for each individual case. 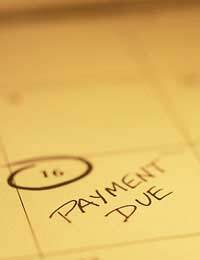 Maintenance payments may be enforced to be paid weekly, bi-weekly or monthly. A court order will also instruct self-employed parents on how to pay maintenance contributions towards their child’s welfare. @titch - Your ex will usually pay less child maintenance if he is paying either the basic or reduced rate and he or his partner are receiving child benefit for other children living with them. It's because they also need to pay for the care of the other children too.The amount of child maintenance that your ex will pay is based on part of his net weekly income, instead of all of it. i havent received a payment since june or maybe before my ex partner wages have been arrested and i have still not received a payment i phone the csa every weekand feel i have got no were how is he geting away with not paying if his wages are arrested ? what can i do about this as my child has missed out on alot . I have a private agreement with my ex wife and there hasn't been any problems.She now has a new partner that has moved in and she wants to look at our agreement again. I don't have a problem with this but she wants to see 12 weeks payslips? Do I have to provide her with these. I understand if I was dealing with the CSA they would need to see this but for a private agreement I don't think I should have to let her see these.I can get a statement of earnings from work surely this should be enough?She is threatening to go to solicitors if I don't provide them. I am already paying 20% of my basic for 2 children. What do you think?